Having spent the best part of my adult life behind the bar I’ve always seen the move into sales as something of a natural progression. Regular sleeping patterns and free weekends, what bartender hasn’t dreamt of this as they clean down at 3am on a Saturday night? So, when the opportunity came up to work with Bristol Syrup Company, a project that Dee & Danny had been involved with for almost two years, I jumped at the chance. As well as being two of my closest friends they are both hugely respected within the bar industry and Jem seemed to be the man to know when it came to syrup. With that in mind I was expecting big things when I tried the syrups and they honestly exceeded my expectations. I was bouncing up and down with excitement after tasting the range. Since then I’ve learned about the sheer amount of thought, creativity and ingenuity that has gone into the development process, a real labour of love. The end result is a stunning range of syrups that raise the bar in terms of quality without compromising on affordability. I’d be tempted to say they sell themselves but I don’t want to put myself out of a job! 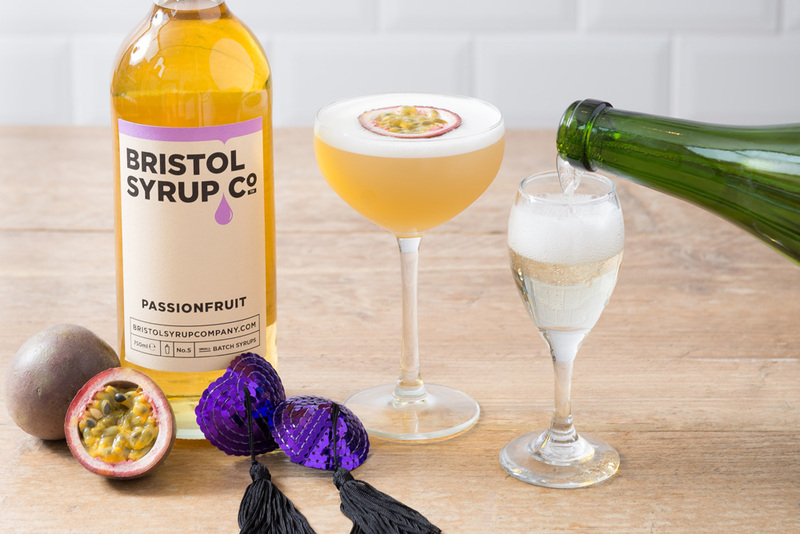 My particular favourite is the Passionfruit syrup, it has a sharp flavour with a wonderful balance of sweetness and acidity that lingers and leaves you wanting more. It’s super diverse and as well as significantly improving your Pornstar Martini it can add depth to classic rum cocktails in place of sugar. For the brave drinkers amongst you it’s flavour will carry through the not insignificant volume of rum in a classic Zombie, be careful with that one though!